On the days when it is hot a humid, how wonderful does a bowl of ice cream or frozen yogurt sound to you? There isn’t quite anything else like a delicious melty cold treat to have when the humidity and/or heat are in high gear. 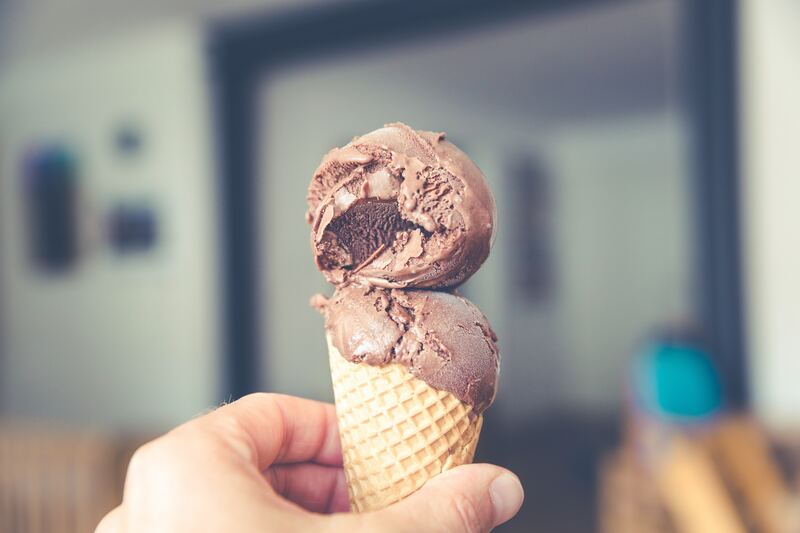 Sometimes just taking yourself out of the house is a chore enough when the weather is extreme, so here is a tasty chocolate frozen yogurt recipe that you can make at home in no time. Freeze your ice cream maker bowl for 24+ hours. In a large blender, add the Greek yogurt, almond milk, protein powder, cacao, vanilla extract and stevia extract. At the very end, add in the xanthan gum. Place the frozen ice cream maker attachment onto the stand mixer and turn on the “stir” speed. Pour the frozen yogurt batter into the ice cream bowl and churn until soft-serve consistency. Scoop the frozen yogurt into a freezer-proof container and stir in the chocolate chips. Cover the container with a lid and freeze until it’s the texture you like (~5 hours). Scoop into bowls and serve! This recipe is great for kids too!